Home News Police search for missing 15 y.o. Police search for missing 15 y.o. MISSING: Kyla Menna, 15, went missing on 7 March. The disappearance of a 15-year-old girl in Geelong this month has prompted police calls for public assistance to find her. Kyla Menna went missing in Geelong on 7 March but had indicated she may travel to Melbourne or Werribee, police said. She was last seen wearing black Nike leggings, white runners with blue and orange stripes, a dark-coloured t-shirt and a dark-coloured jumper. 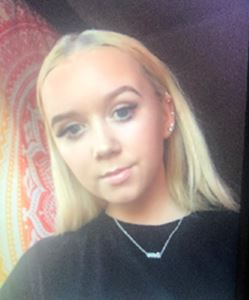 Police on Monday released an image of Kyla in hope someone would recognise her and could provide information on her whereabouts. They urged anyone who sees Kyla or has information on her whereabouts to phone Waurn Ponds Police Station on 5247 3500.